NEW WEDDING FINDS & IDEAS - I Blog, Therefore I Am. I went to the Brides & Beyond Wedding Fair at the Rockwell Tent last February 21. The fair is a bit different from all the other bridal fairs I've been since it mostly featured high-end and non-mainstream suppliers. It was also not crowded compared to the others. I'm now picky when it comes to wedding fairs. I've been to five (5) fairs already and I'm already an expert on what to do, what to expect, and what I should spend my time on. I pretty much covered all our big suppliers so I am no longer "actively hunting" during fairs. However - I did find a couple of new wedding ideas and suppliers that are worth considering for the big day. Read on! 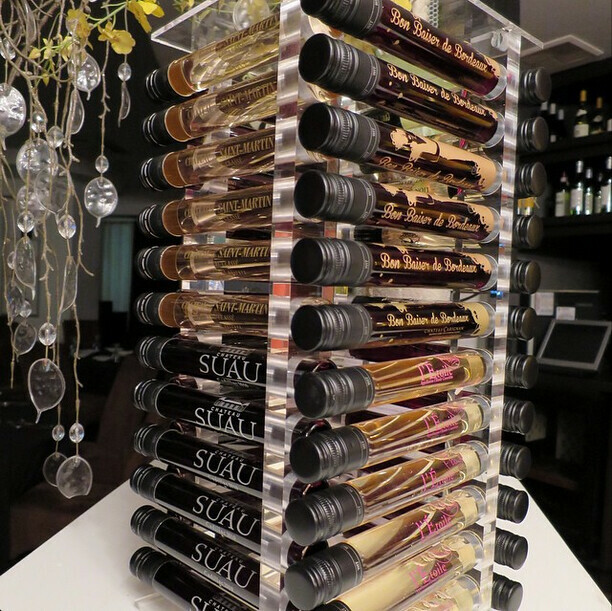 Calligraffi designs and engraves on wood, glass, and acrylics. 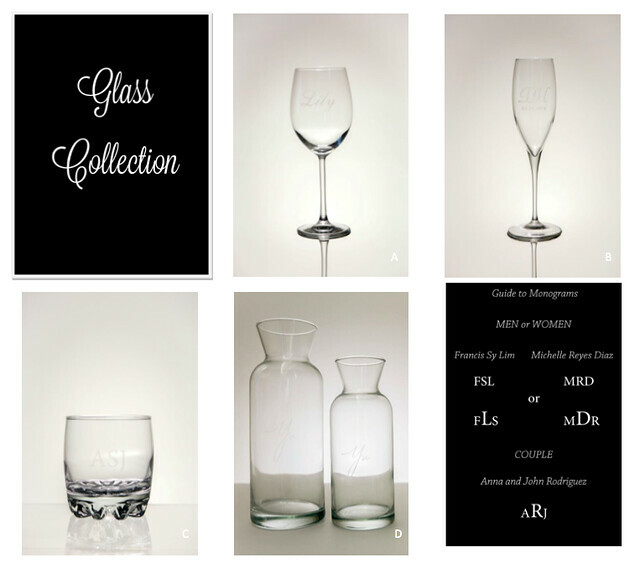 Their most popular items are the personalized wine glasses and champagne flutes with engraving. This is a nice personal touch for the bride & groom toast at the reception; and a good wedding day token for the new home. 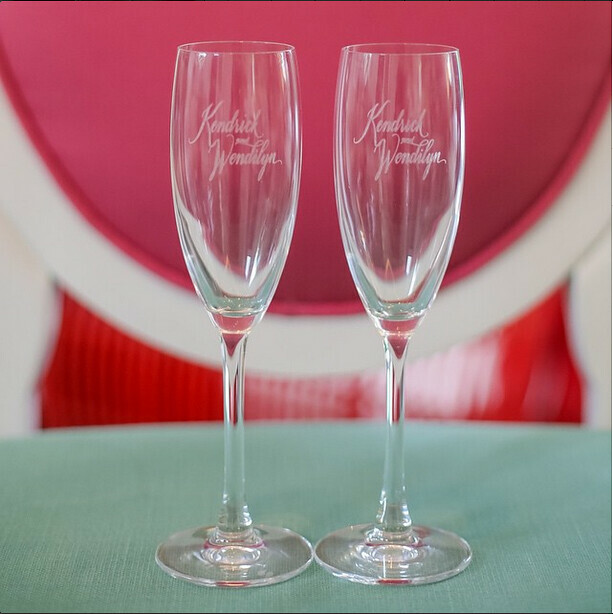 The wine glasses are Php 320.00 - 1,800.000 depending on the number of orders while the champagne flutes are Php 400 - 2,100.00. Leatherette gift boxes are also available. Calligraffi has some fonts and borders which you can choose from. Aside from the glasses, they also design, engrave and print on woods and acrylics. The nice owner told me that they don't have minimum orders and they can ship and make one even if you will just order a piece from them. I am interested in their wine boxes and wooden hangers. The latter can be used for the groom's suit/barong prep or even as a nice Christmas gift to couple friends. The wooden hangers are priced Php 150.00 - 1,600.00 depending on the number you will order while the wooden boxes are Php 800.00 - 1,500.00. All the photos on this post are from the Calligraffi Catalog and their Instagram account. You may download the full catalog through this Dropbox link. You make also order and inquire through the Calligraffi Order Form. 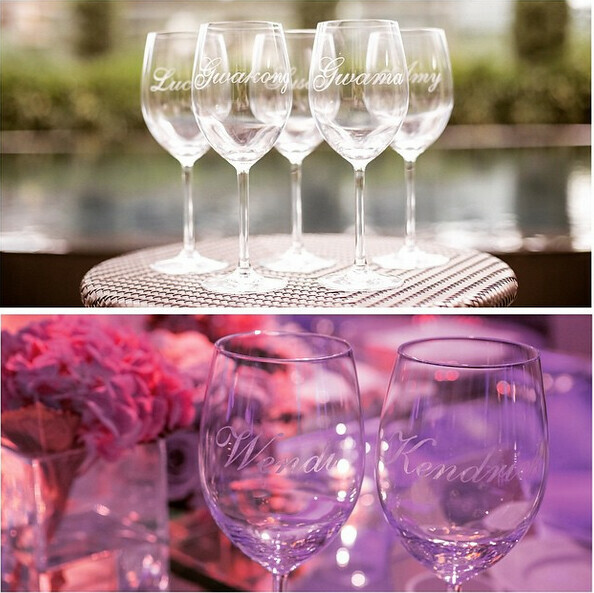 Oh - they are also the ones who personalized and engraved the wine glasses at Chiz Escudero and Heart Evangelista's wedding last month. I am not planning to give any wedding souvenirs to our guests except for the Photoman photos. But we are planning to give a little something to our godparents and entourage. One of the things that caught my eye in the Brides & Beyond fair are these very elegant wines in 100ml. tube glasses from Wine In Tube (WIT). 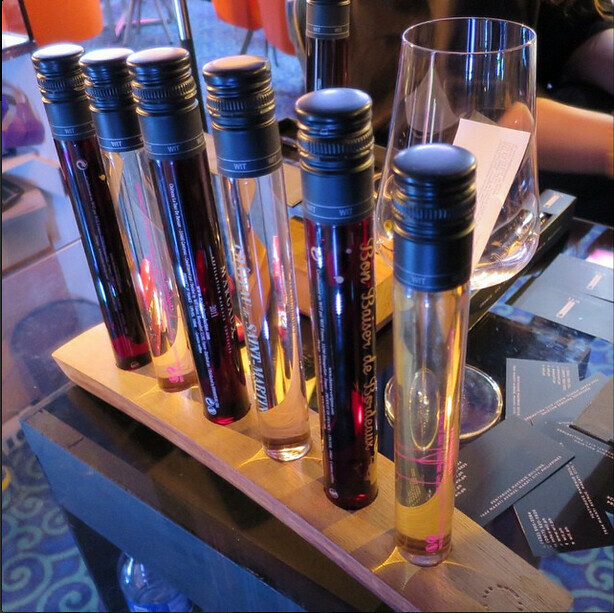 The range of the Wine In Tubes are from Php 290.00 - 1,290.00 per tube depending on the wine. They also offer it in nice cool boxes or with flower arrangement from Designer Blooms. 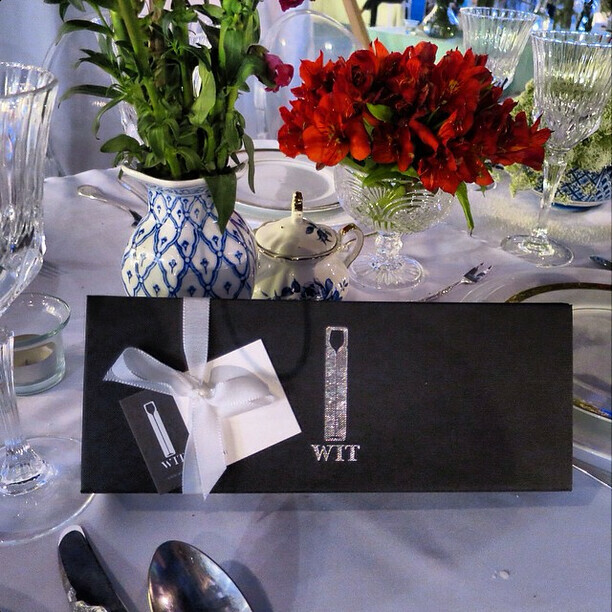 The tube in wine packaging - which makes it unique - is also patented by WIT in France. This is a very nice gift if you're looking for something unique and novel. Photos courtesy of WIT's Instagram.